Officers from the Hawai’i Police Department will shed their guns, tasers and batons and don squeegees and gas pumps for the 4th Annual “Fueling Dreams” for Special Olympics on Thursday, April 2, and Friday, April 3. “Fueling Dreams,” a part of the “Troy Barboza Law Enforcement Torch Run,” is a coordinated project of the Hawai’i Police Department and Tesoro-Hawai’i for the purpose of raising awareness and funds for the athletes of Special Olympics Hawai’i. During this project, off-duty officers, volunteer department employees and Tesoro-Hawai’i employees will greet customers and offer to fill their gas tanks and clean their windows. Tesoro-Hawai’i will offer discounted gas, free balloons and other incentives for patrons of this event. In return, the families and athletes of Special Olympics Hawai’i will ask for donations. “Fueling Dreams” will be held simultaneously throughout the state of Hawai’i. A Hilo event will be held at the Tesoro gas station on Kamehameha Avenue at the corner of Ponahawai Street. A Kona event will be held at the Tesoro gas station on Queen Ka’ahumanu just north of the Kealakehe police station. 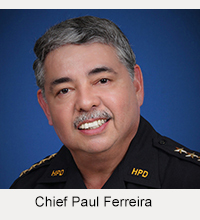 Chief Harry S. Kubojiri encourages the public to support his officers’ efforts by patronizing the Tesoro-Hawai’i stations and donating to Special Olympics of East and West Hawai’i. 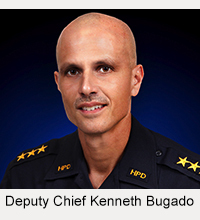 The Hawai’i Police Department proudly sponsors these events that continue to emphasize the department’s commitment to its core values of compassion, teamwork and community satisfaction.